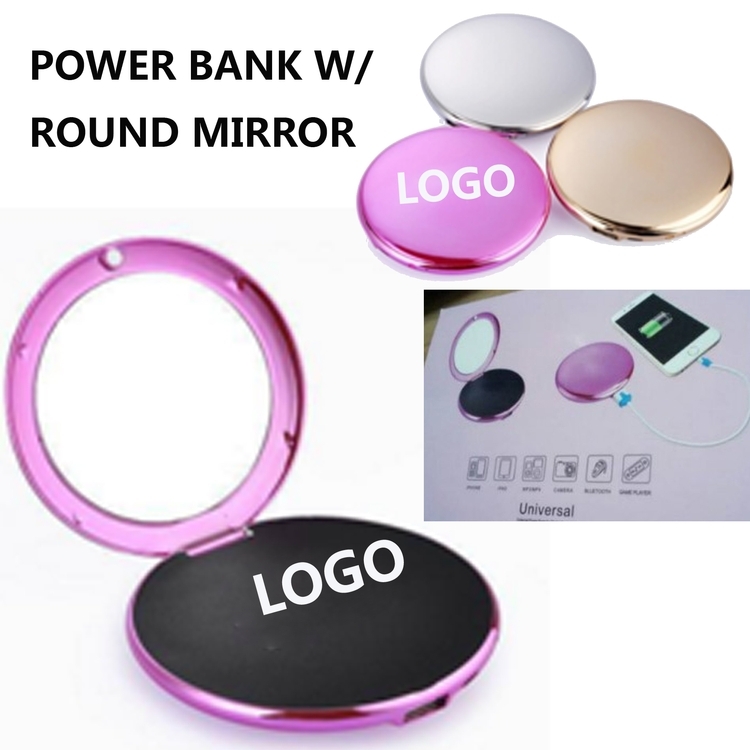 The round shape phone chargers is made of ABS plastic. With Mirror inside for you make up any time any place. The 3000 mAh capacity can keep your phone or pad with full power all time. Custom logo can be imprinted with all colors. Package: 1 pc/gift box, 90 pcs/ctn, 22 lbs/ctn.